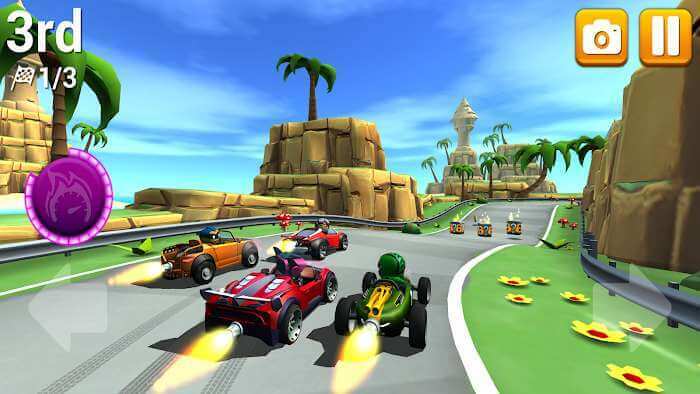 If you are a speed enthusiast and are looking for a game to entertain yourself for the time. This is a good choice for you. 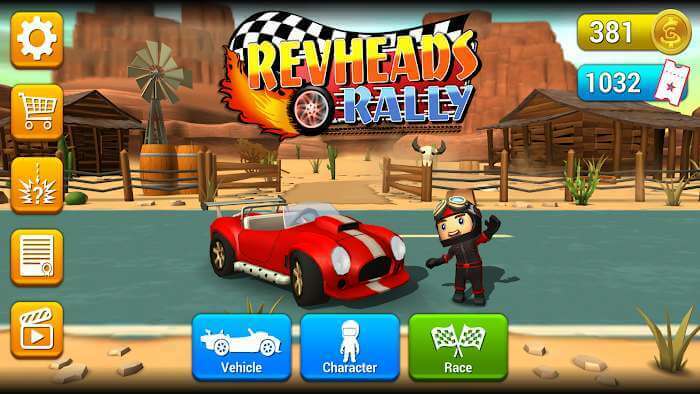 Rev Heads Rally is a new game that has just been released in about a week and has captured the hearts of so many people. It’s not a big market, but with its attractive gameplay and graphics, it’s definitely within a few weeks it’s going to be one of the new options for gamers. Spunge Games Pty Ltd is a well-known publisher in the Google Play gaming community. Their products have almost the same design in the same style with a variety of contexts, but also ensure the fun factor and attract players. They even own a few products with millions of downloads. So you can be assured of the latest product quality, Rev Heads Rally. Like all racing games, the Rev Heads Rally will take you to exciting and challenging racetracks to challenge your car’s drivers. Most of the scenes in the game will be played in the suburbs, but rarely into the city. This may seem like a disadvantage when it comes to not meeting the diversity of the landscape. But the fact is that it makes the player can make his race in the long distance and more dangerous. In addition, thanks to the races taking place in places like desert or coast, you will have fun adventures to see the beautiful nature. The controller of the game is designed like a traditional racing. It means that the Rev Heads Rally will give the player the ability to move straight ahead automatically, without having to touch any button. And there will be two left-handed or right-handed joysticks on either side of the screen. There will definitely be an energy boost button so you can break through in a short time. But this amount of energy will be stored long before it can be used most effectively. A body of energy will slowly fill up during your move, making turns fill up a lot faster. There is also a button that functions as a deceleration brake. The 24 Cup Series that takes place throughout the game will bring you to many different locations to race against tough opponents. During the race, there are seven types of bonuses for you to pick up and increase your power temporarily. 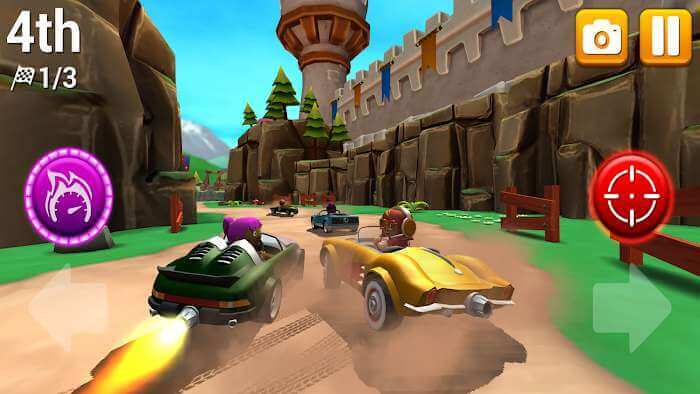 The game offers 30 different vehicles with a variety of functions and rich upgrades to help players make their opponents surprise. Also, your character in the car can change his appearance to become beautiful. This is one of the funniest features of the game that allows players to show off their friends.